5）IAEA（1991）Analytical detection methods for　irradiated foods. IAEA-TECDOC-587，vienna. 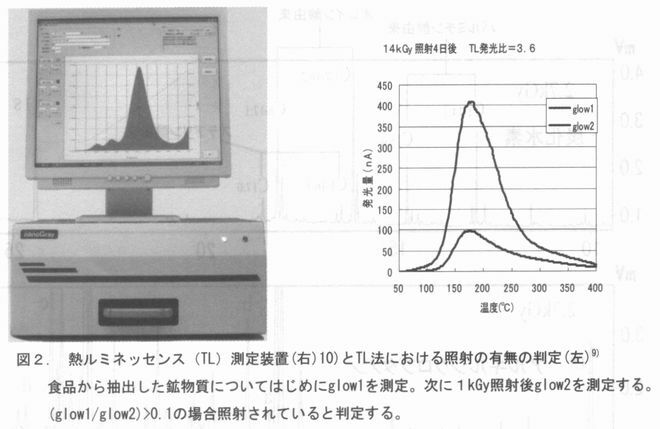 12）M.Ukai and Y.Shimoyama，Detection of organic　free　radicals　in Electron Spin Resonance，RADIOISOTOPES，51，501-504 （2002）. 13）M.Ukai，Y.Shimoyama，An Electron Spin Resonance Study of Evolution of organic Free Radicals in lrradiated Pepper， J.Food Sci.，68，2225-2229（2003）. 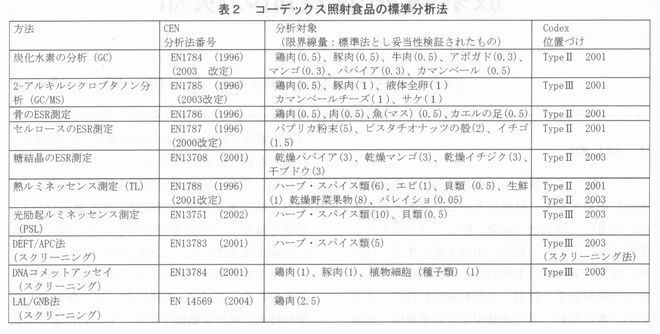 15）M.Ukai，Y.Shimoyama，An Electron Spin ResonanceStudy of Radica1 Decay in FRay lrradiated　Pepper by Therma1 Treatments，App1.Magn.Reson.，25，95-103（2003）. 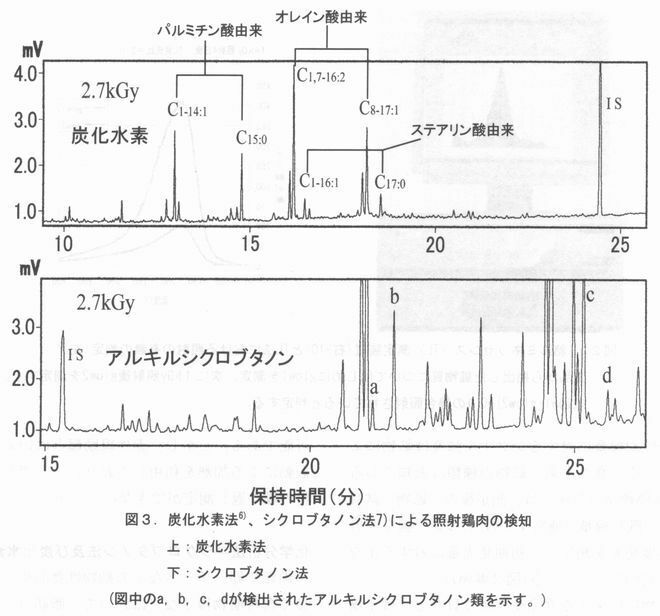 16）M.Ukai，Y.Shimoyama，Decay of organic Free Radicals inFRay lrradiated Pepper during Therma1 Treatments as detected by Electron Spin Resonance Spectroscopy，Rad.Phys.Chem.，71，177-180（2004）. 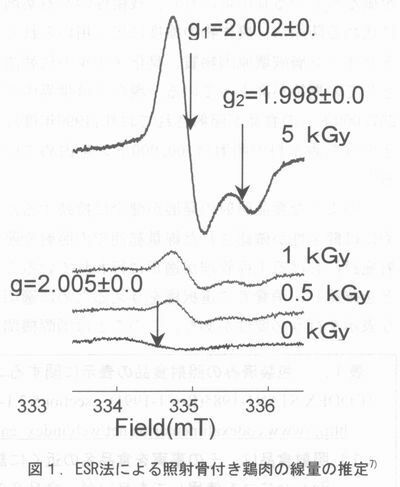 17）M.Ukai，Y.Shimoyama，Free Radicals in lrradiated Wheat Hour Detected by Electron　Spin　Resonance，App1.Magn.Reson.，29，　315-324（2005）. 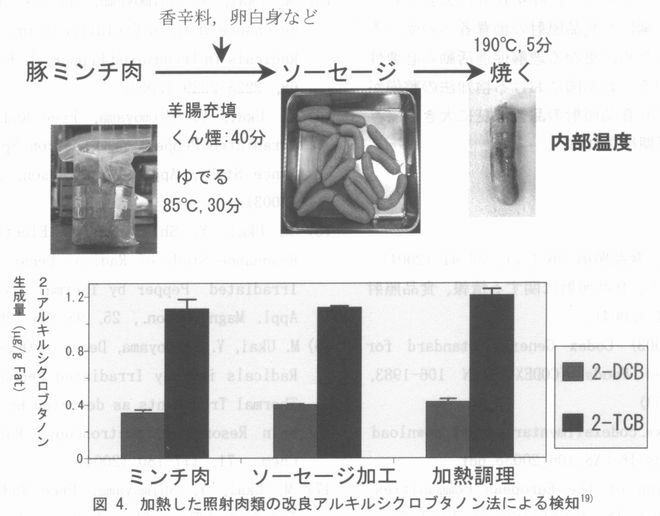 18）H.0bana，M.Furuta，Y.Tanaka，Journalof　Agricultural　and　Food　Chemistry. 53，　6603-6608（2003）.